So, you guys have been messaging me here, there and everywhere about sharing my top cruelty free beauty products and brands with you. And because my cruelty free living post did so well, guess what you guys have today? You've guessed right! And I'm super happy to share with you some top beauty products and brands I reach for, but first I'd like to just share with you why going cruelty free is good. For me, having a cruelty free lifestyle means not using anything containing animals or their by-products, or using products where animals have been mistreated and used for testing them, and is the way I wish I had chosen to live my life a long time ago. Make up and skincare are products are materialistic in my eyes. We want these things and like them, so I think it's so unfair for innocent animals to be used, killed, kept in awful conditions and tested on against their will just so we could have that new mascara. 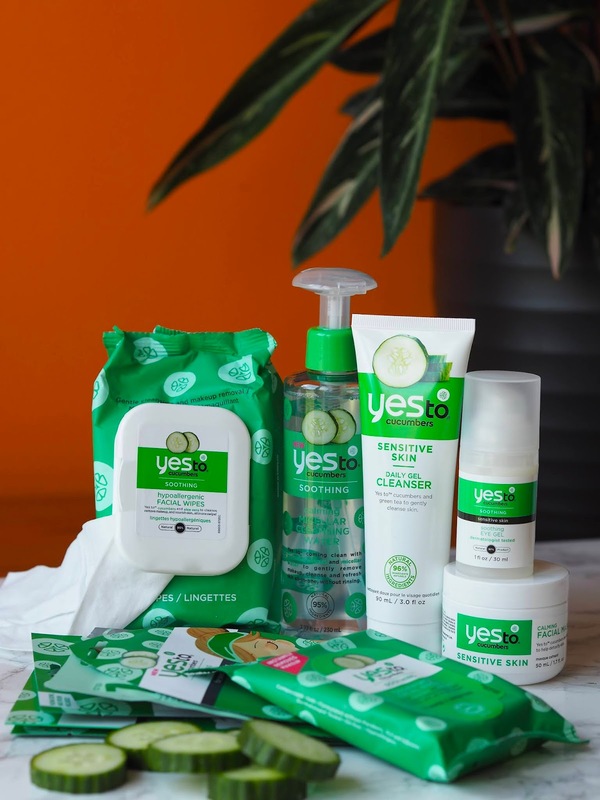 There's just no need for it in my eyes which is why I've chosen to be cruelty free with my beauty and living products (just a bit of background for ya). Anyway, before I go on a tangent, let's get sharing some amazing brands that care about animals and conduct no animal cruelty. Whoop whoop! 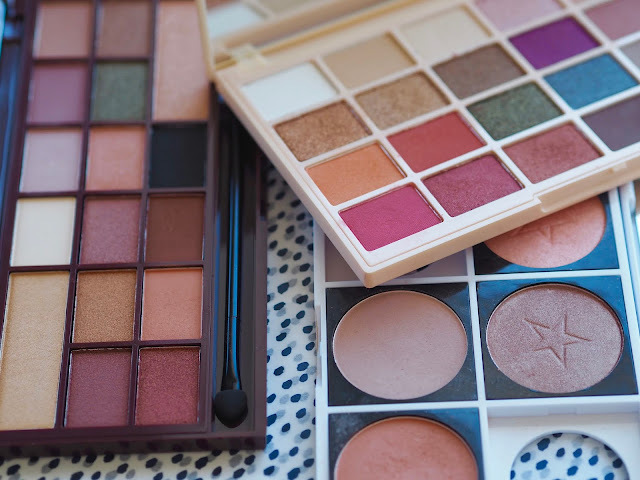 I thought we'd start with eyeshadow, and my go to palettes that I find myself using and loving over and over again. 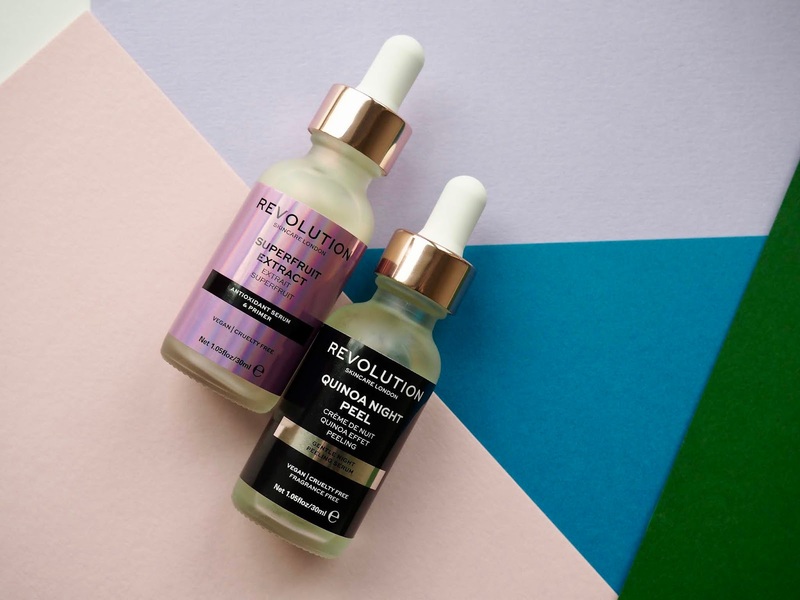 I'm going to put it out there and declare my love for Revolution Beauty. 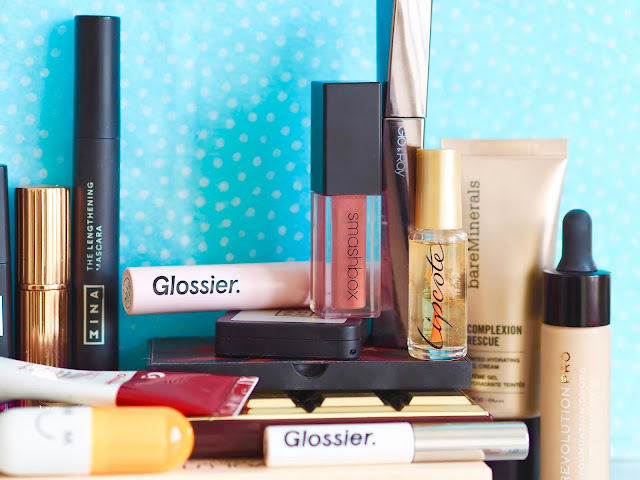 The mother ship that has the likes of Makeup Revolution, Makeup Obsession and more. 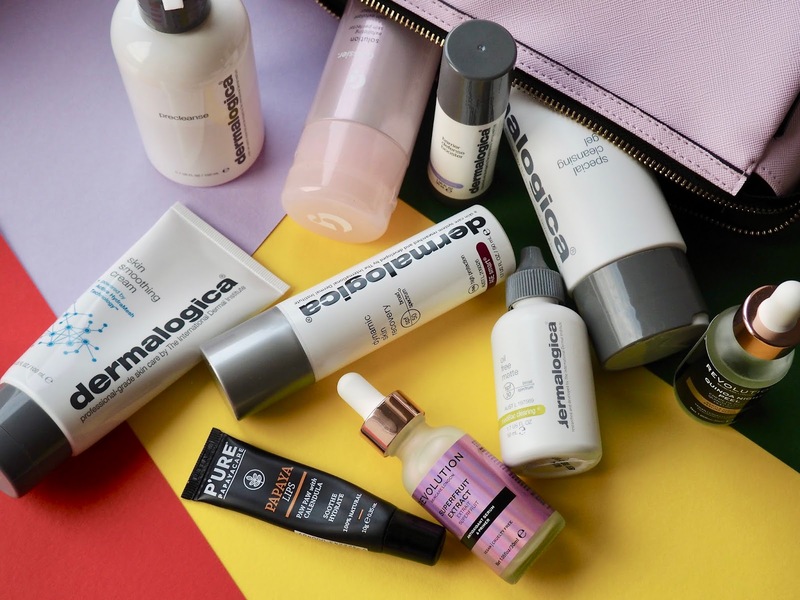 The affordability of their products, the pay off you get from the shadows, and the quick turn around of products (with new ones being released all the time) it's just fab! Pictured are just three of my fav palettes from the Revolution Beauty family, Sophie Does Nails palette, Chocolate palette and the create your own Makeup Obsession palette. Honestly if you're thinking about transitioning to a more cruelty free beauty life, the Revolution Beauty family are the guys to hit up for an affordable transition. Also in my most reached for is the Kat Von D 'Shade and Light' palette, Pixi miniature shimmers palette, the Smashbox palette and a duo 3INA shadow. Now the Kat Von D palette isn't the cheapest thing around that's cruelty free, but the peach shade (top right) is my most fav peach shadow ever! 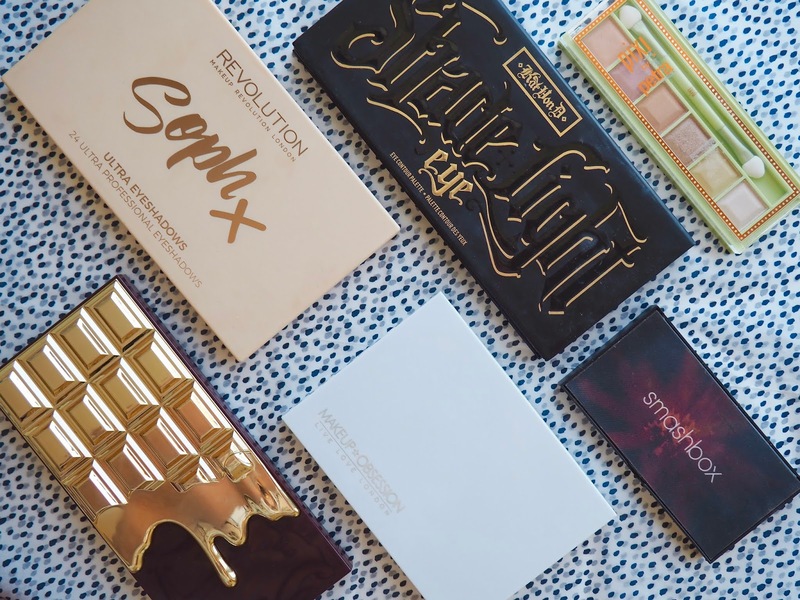 And I often find myself using the brown to the left of it for my contour, so it can be pretty versatile. 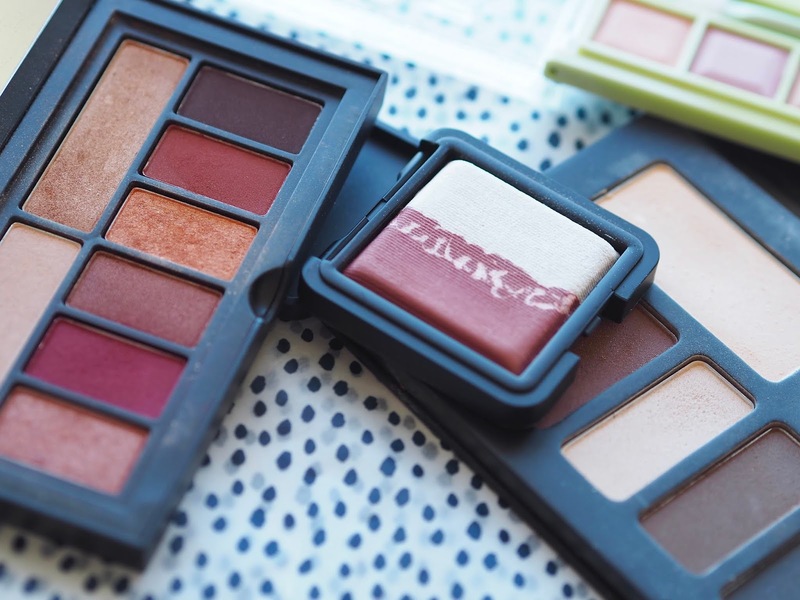 The Smashbox, Pixi and 3ina palettes are small so great for travelling, and all three have great payoff and lasting qualities. Whenever I wear the copper or raspberry shade from the Smashbox palette, I get so many compliments andddddd it lasts for so long! 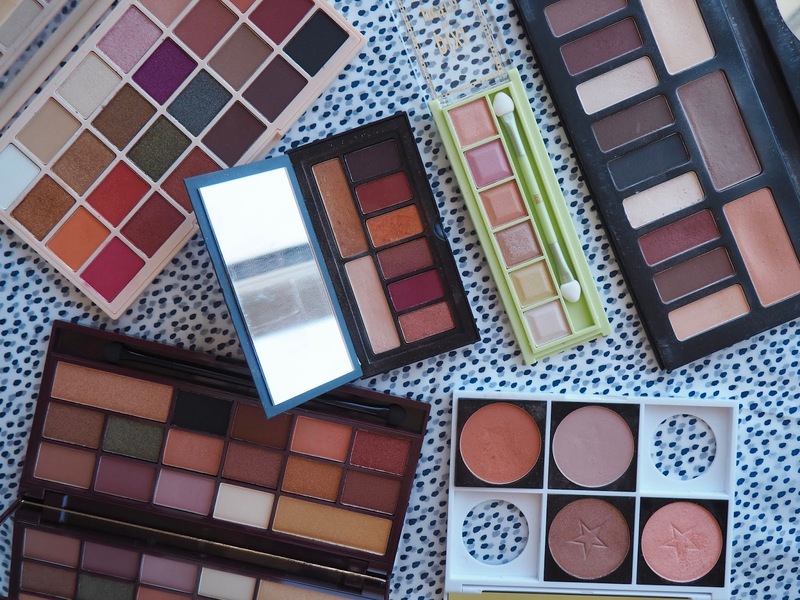 In short, all the palettes and shadows above are from cruelty free brands, mixed in price range and are all excellent value for money. Offering brilliant payoff, blendability and value. I can be a little picky when it comes to mascara, and in my time of being cruelty free I've honestly tried so many. 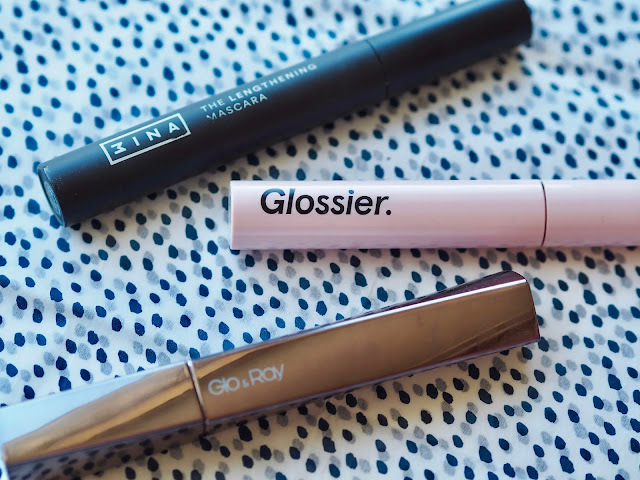 Everyone is out to find the BEST mascara out there aren't they, and these three are my fav out of all the ones I've tested in the last couple of years. For a daily mascara I reach for the Glo&Ray as it adds length, volume and isn't too much of a heavy consistency. 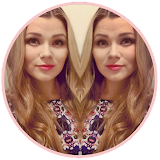 It's my chuck it on and run out the door mascara as it doesn't fail to give me the boost my eyes need on an everyday basis. When I'm really wanting my lashes to be super long, separated and fluttery I hit up my pink Glossier babe. This is pretty new on the market so I've not had it long, but it was love at first use. 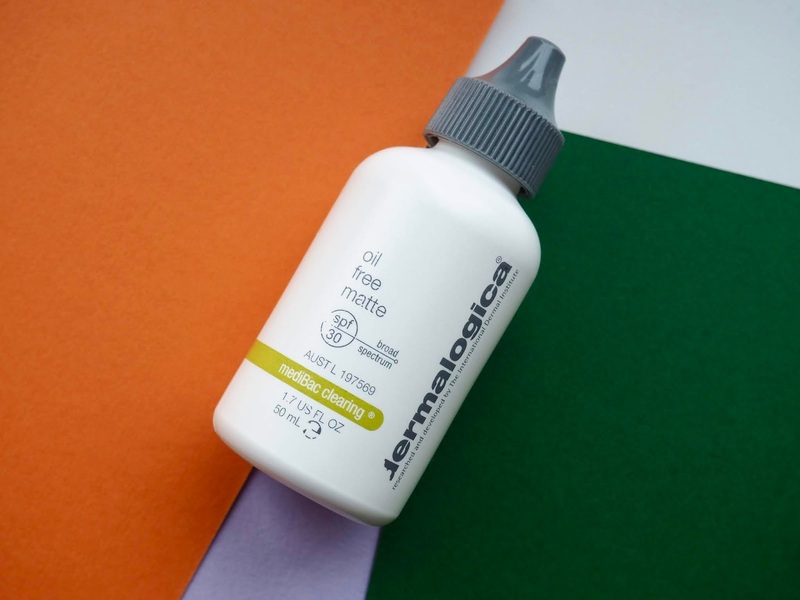 No smudges, no black bits at the top of your lid, and separates your lashes so beautifully. I find it's not great to build up, so one coat applied quickly does the trick and won't budge. On the other side of mascara life. The dramatic, built up, intense lash is where the 3INA Lengthening Mascara comes in. This bad boy is cracked out when I want some drama, and with it being so great to layer you can really get your lashes looking intense. Brows are my thing, and would rather leave the house with my brows done over anything else. 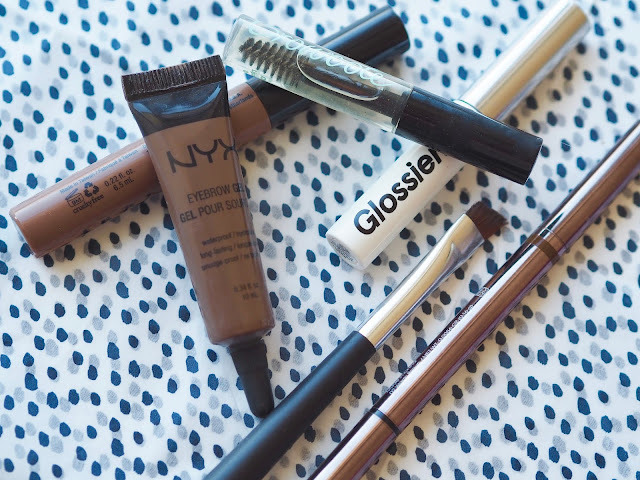 The NYX Eyebrow Gel is one of my ultimate favs for a strong brow (preferably when you have some time to spend on them) along with the NYX Tint. The only downside there is with this product is that you need a bit of time to work with it, as it's not the quickest product to use but has fab results for a strong brow. My quick brow friends are Glossier Boy Brow which gives that model brushed through bushy brow you see in magazines. If I fancy having my brows a little heavier than Boy Brow then the Glo&Ray Brow Pencil and Browcote does an awesome job. Now I'm going to be honest with you. Gone are the days where I wear heavy winged liner and things like that. But when I fancy a little summink, these are the guys I grab out of my stash. For a liquid winged liner I rotate between my Glo&Ray and 3INA ones. They're both epic liners and last for the entire day without rubbing off and all that jazz, which is always what I want from a liquid liner. 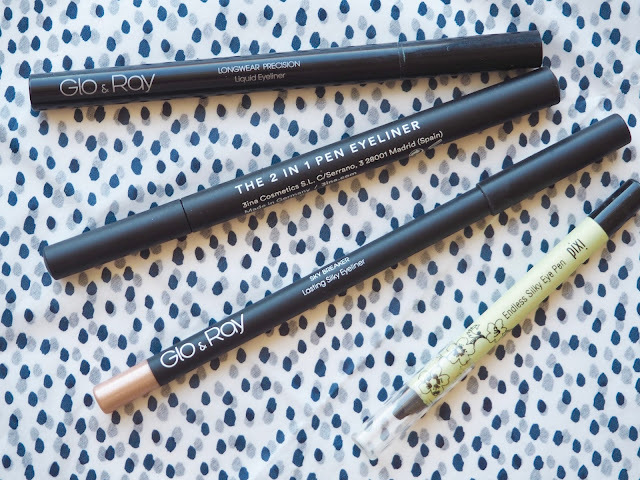 I pop the shimmer pencil Glo&Ray liner in the inner of my eye, or underneath the bottom lash line to jazz up my eye look. This of course isn't a daily thing as who has time for that in the morning???? 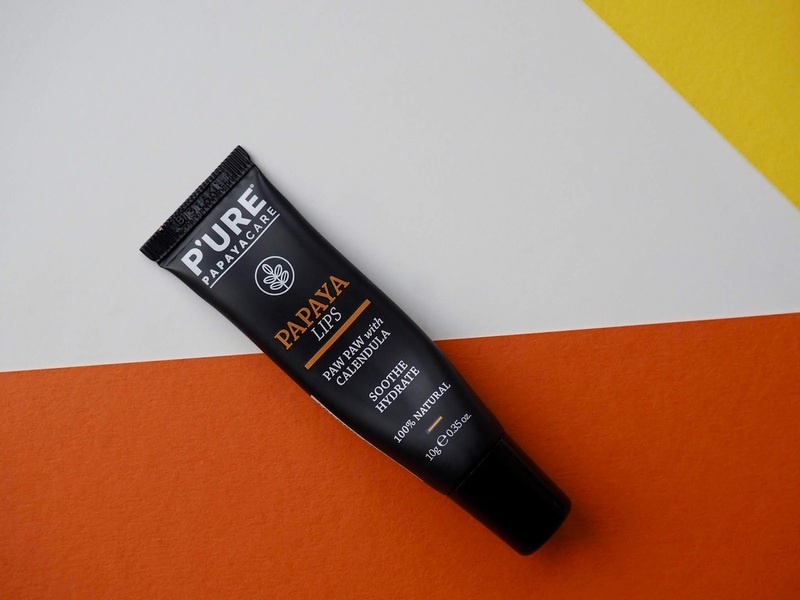 "It's all about that base, bout the base"
If you've followed me for a while you'll know that I love having a light base, and then if I have a blemish to go in with concealer. (Revolution Concealer) My skin is so sensitive when loaded with makeup so the lighter the better really. 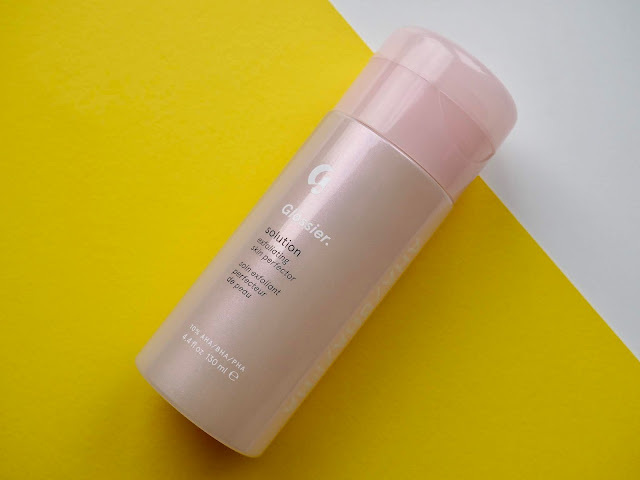 Let's start with the lightest base I use on a daily work basis, which is the Glossier Skin Tint. It gives such a nice flush of colour and glow, without it being caked on and clutching to dry patches. It's just a lovely tint and manages to cover some redness which is a massive plus, and where my next light base product comes in. Bare Minerals Complexion Rescue offers a heavier coverage compared to Glossier, but is still a light base. It manages to cover more and isn't as glow intense. 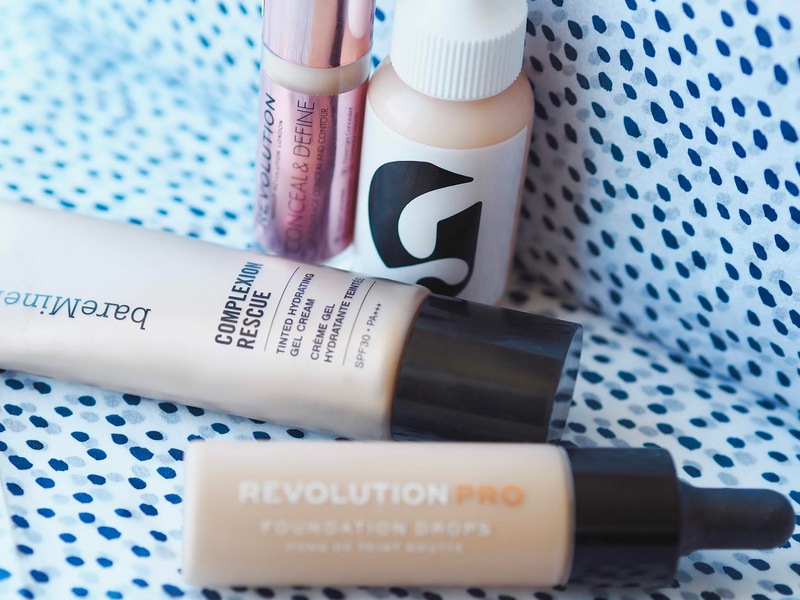 For a flawless face every time I use the Revolution Pro Foundation Drops. They are wonderful to use! And it took so long for me to try it, but I'm so happy I have it in my life now. I apply it with my beauty sponge and gives me such a beautiful base, where I don't need concealer really. I'm a little bit of a lip balm addict, and will never turn down buying a new release as my lips can get so crazy chapped and dry. 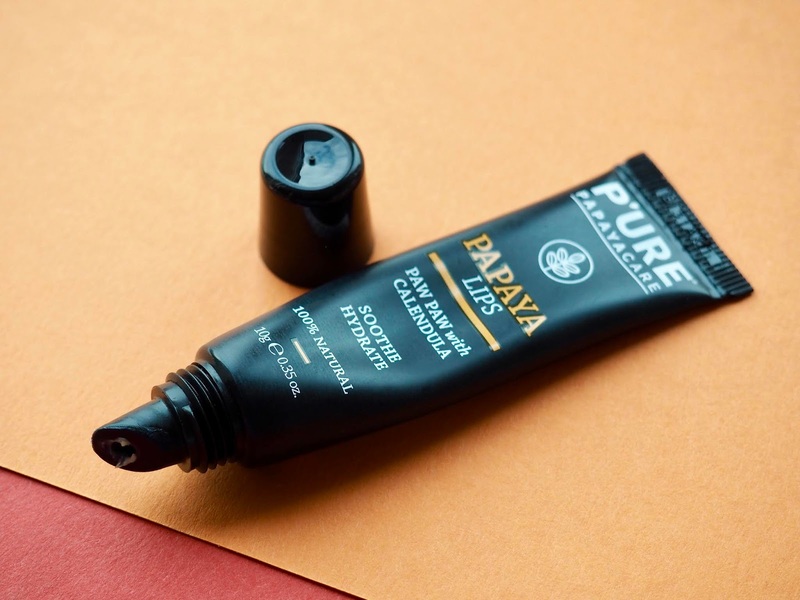 A handbag isn't complete without a lip balm for on-the- go use. 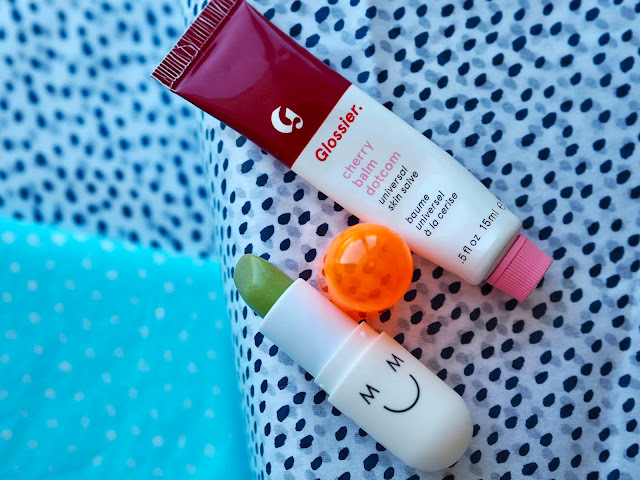 Now, you're probably sick of seeing so many Glossier products but if I were to tell you one thing you should get from them, its Balm.com . This cherry one is my most used and favourite of all. The scent, the slight red tint it leaves and the lasting moisture it gives your lips.... to me, this is exactly what you want in a lip balm. Getting a little funky now with MyMood and their bullet lip balm in I'm Shook! It's cute, small and convenient to carry around and makes my lips super duper smooth. 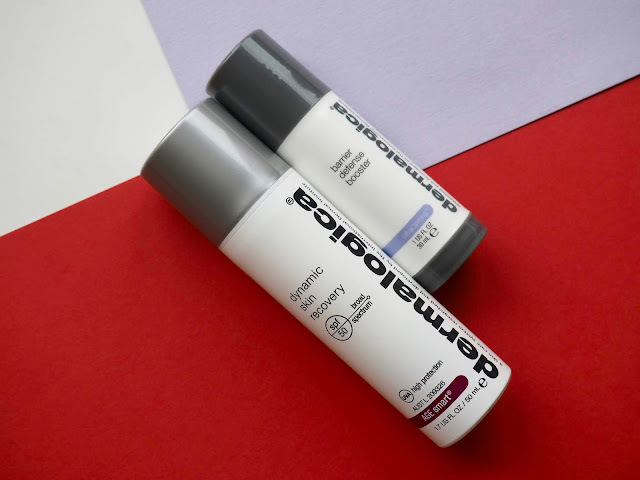 As much as I love the Glossier one, I do reach for this MyMood one when I'm leaving the house as I'm a little bit of a germaphobe and would prefer to apply from a bullet when I'm out and not my finger. Here come the big guns. It's onto the lips (one of my personal beauty addictions). I have so many lipsticks, liquid lipsticks, lip stains and the list goes on. It was easy to grab my most used but I have way more I would love to share with you. But we'll leave that for another day. 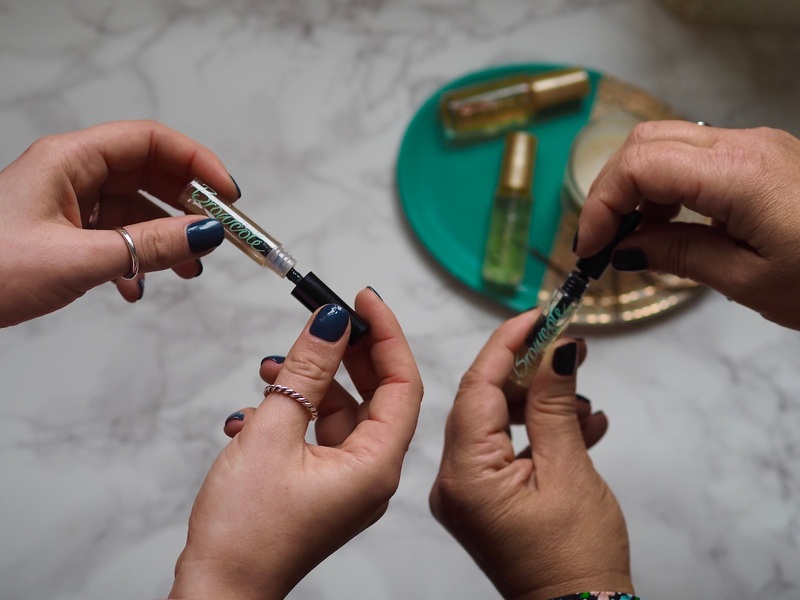 Liquid lipsticks are my ultimate fav and even when I don't apply them thick and opaque, I like to put a few dabs of it onto my lips and blend out with my finger, giving a more light everyday lip look. 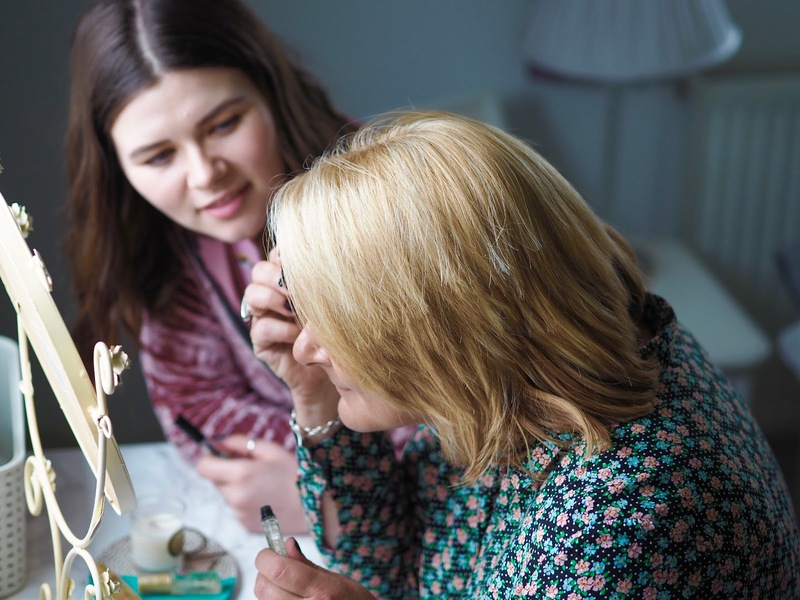 Even when I go for the lighter look, I use Lipcote to lock in the colour for longer. It's an old favourite of mine and my mum's, and has been around for years because of how great it is. So, here's my most used lip products right now. In no particular order may I add. 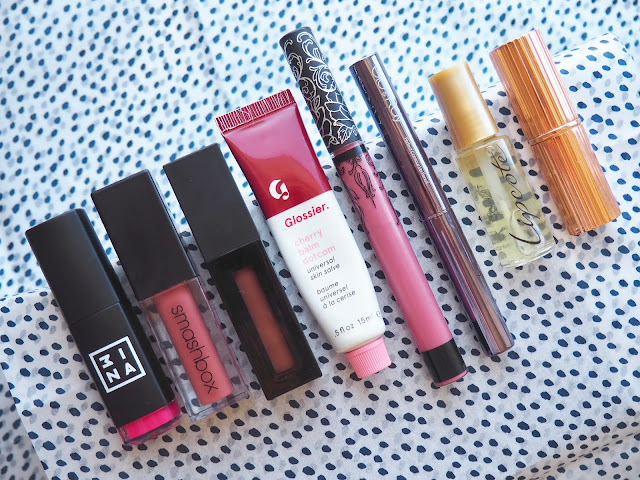 Liquid lipsticks used frequently and loved for their lasting power and beautiful shades include 3INA for when I'm feeling a bright pink vibe. It especially looks great applied thinly with some balm on top. Both the Smashbox and Revolution Pro liquid lipsticks are basically the same shades, with the Revolution Pro one being slightly darker. It really falls down to what one I see first as I love them both the same. When applied thickly, they both last for an entire day! They are literally incredible. The last liquid lipstick is a Kat Von D in Lovesick; one purely for the shade as it's super pretty and my spring/summer must have, and two its really comfortable to wear and lasts through eating. On to the more traditional style of lipsticks, firstly with Charlotte Tilbury Red Carpet Red. This is the most stunning and traditional red lipsticks. All of the matte lipsticks from Charlotte Tilbury are long wearing and the packaging is stunning. The Glo&Ray lipsticks are much more affordable in comparison to Charlotte Tilbury ones, and give just as good longevity. They carry more of a variety of vibrant colours, with the packing very sleek and thin which is perfect to have in your handbag. 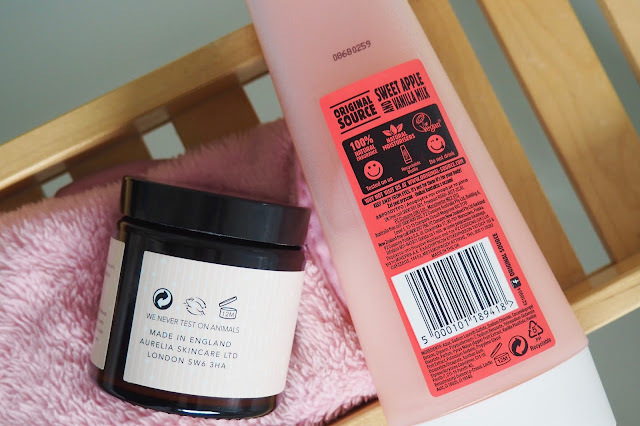 That was probably the longest post ever, but I really hope it's been helpful to share with you the brands I buy from and products I love that are all cruelty free. I've tried my best to link everything I've mentioned (with some links being affiliate). And if you have any questions about cruelty free beauty, please send them my way. Good morning and happy National Cucumber Day! I love cucumbers! There, I said it. I like to eat them, drink them in juices and smoothies, and even like them in my skincare routine. Over the last couple of months I've really struggled with my skin. Getting hard lumps under the skin, and rash like breakouts that were super persistent and refused to die down. 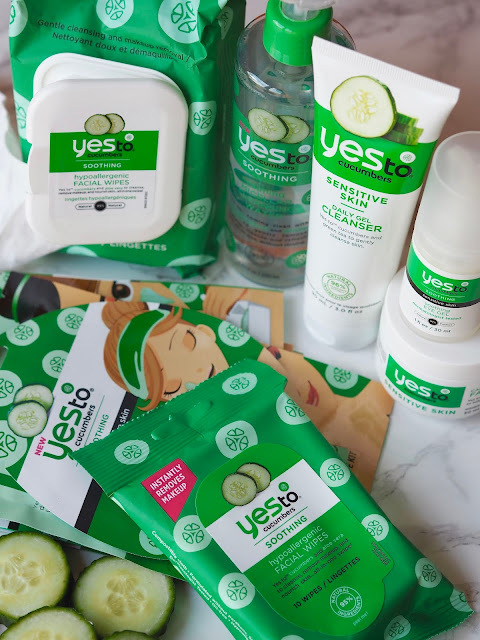 I thought about whether or not I was using too many different products and clogging up my skin, or it was just down to stress or something. 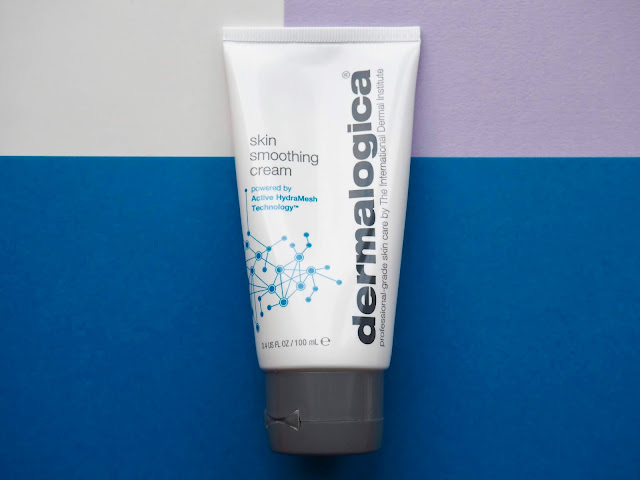 All I knew was that I had to give something a go and hope for it to work it's magic on my problem skin as it was getting me down. 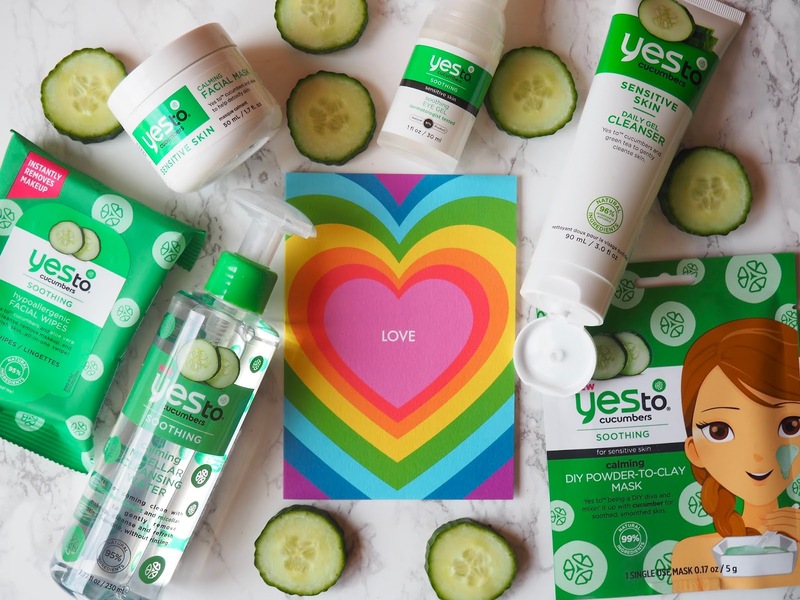 What a day to share my love of cucumbers and my love of the Yes To Cucumber range with you cuties. Make yourself a cheese (vegan cheese if you're like myself) and cucumber sandwich and take a read about a range you'll want try! 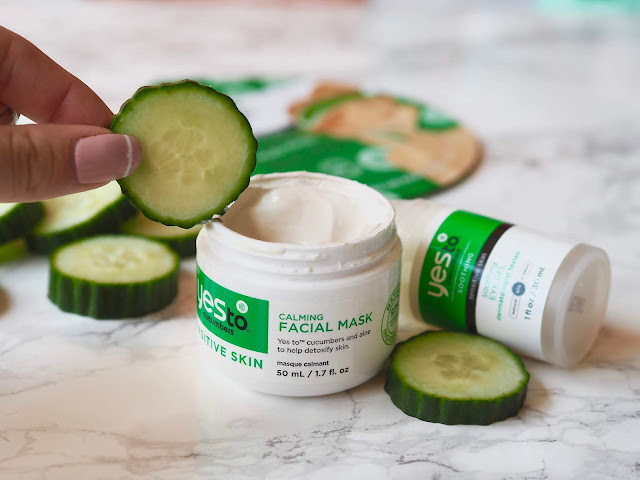 It may shock you to see an entire range made with cucumbers, but it's actually a pretty amazing vegetable when it comes to your skin. Having already been a fan of Yes To and this Cucumber range, using these products over a year ago and loving them, I was more than happy when I was asked to try out the range again and share my findings with you lovely lot who might be in the same position as me! For the purpose of really giving this range another proper go, I locked away all other products I'd been trying out and using. I also stopped popping/attacking my breakouts, which was so hard to do as when I see one I've gotta get it! 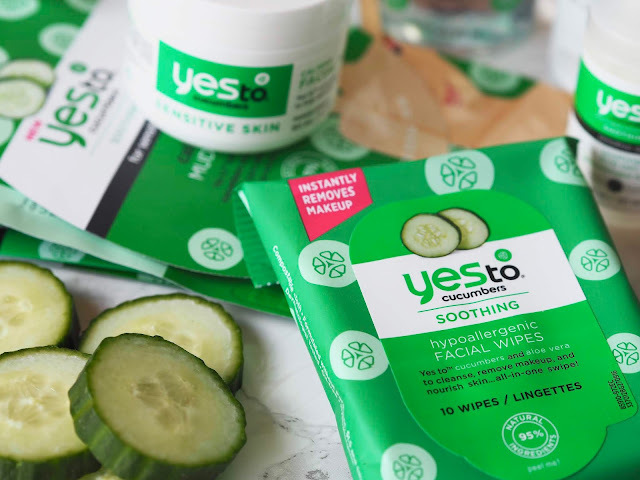 I'm not a fan of facial wipes at all, and follow the rule from Caroline Hirons "they're for fannies, festivals and flights". I just find that they dry my skin out and prefer to take makeup off the good old way. Having said this, I did give them a go every now and again when I was just too sleepy to wash my face, and they weren't bad. A little drying but, they did make my face feel super clean and fresh when used in the morning. They won't be featuring in my permanent skincare routine, but will most definitely be kept for trips, holidays and all that. P.S, the small packet is perfect for your handbag. 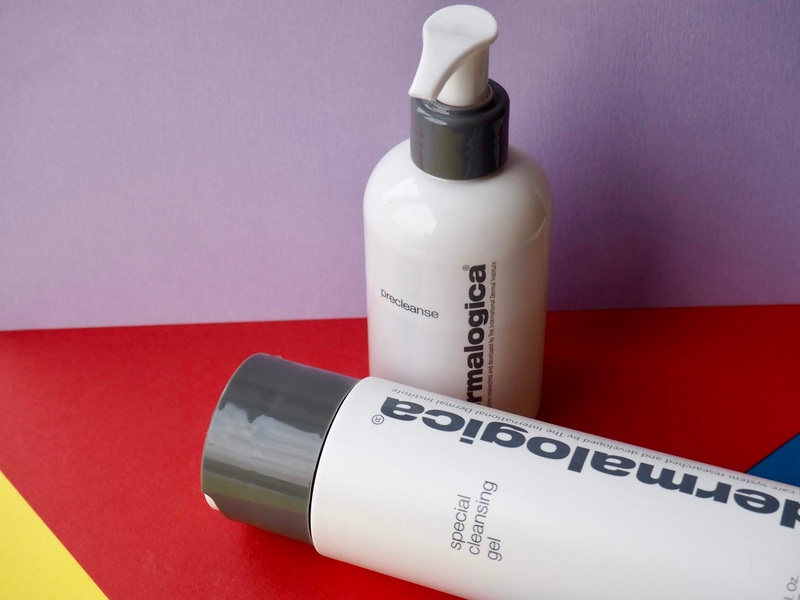 The cleanser is perfectly described as gentle and works a treat to take off my daily natural makeup looks, and doesn't aggravate my breakouts at all. My face doesn't automatically go red, which it does after using other brands. 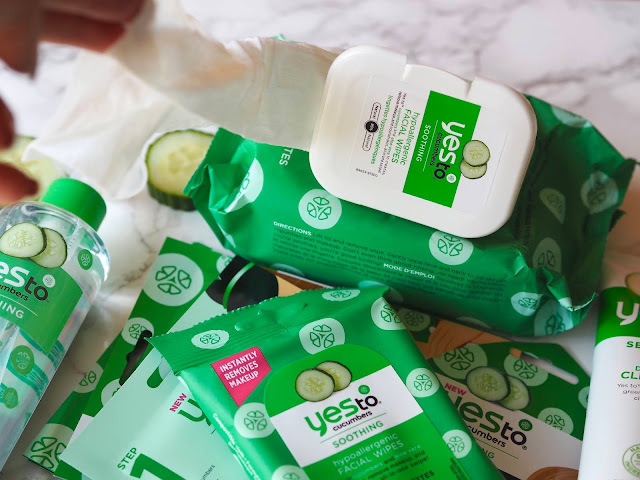 Followed by the cleansing water on a cotton pad to ensure that every last bit of makeup is off the face, it really does make you feel so fresh and so clean *anyone else go straight into singing the song? "So fresh and so clean clean". Using my ring fingers I applied the eye gel underneath the eyes and just underneath the eyebrows. As a women of 30 (yeah I know, I'm sobbing right now just saying it out loud to myself) I should be using an eye cream or gel of some sort. It was really nice to use and was even better when I kept it in the fridge overnight to use in the morning. Twas a right treat. Now, on to the masks. Yes To have come out with some awesome mask options which I have to say, I'm a huge fan of them all. As someone who is very consistent with using a mask every other day, I felt like a kid in a candy shop as there's so many to choose from. They all did a wonderful job at smoothing out my skin, calming down redness and helping to detoxify. There was no extra hard scrubbing when it came to removing any of the paste/hard setting masks, as they were surprisingly easy to remove. With so many to choose from, there's one for everyone. If you're not a fan of the mud/clay mask go for a sheet mask. If its under eye masks you're after, then no problem they're available too. After some time trying this range out I can honestly say that it does wonders with acne/blemish prone skin. It's really calmed mine down and reduced the amount of aggravated patches on my face. I'll be putting the wipes away in a drawer for, as I said fannies, festivals, and flights. But, when it comes to the rest of the products, they'll be sticking around for sure. If I had to pick my fav product out of them all it would have to be the DIY powder to clay mask. Not only did it give me super soft skin that was calm and really reduced my crazy red patches, but it was so fun to use and came with a tiny cardboard dish and a tiny spatula to stir it with. So extra and I loved it! 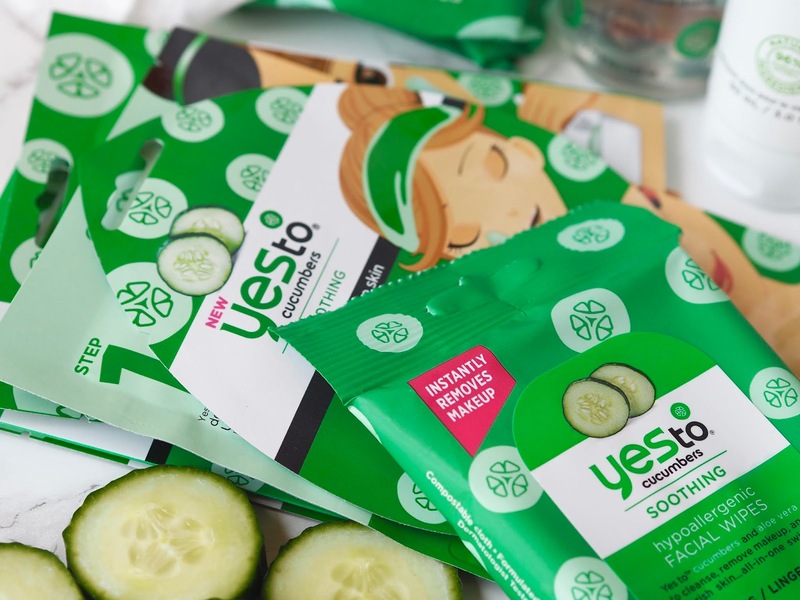 Do you have aggravated, red, acne prone skin? Give this range a go and see how you get on! A super sunny good day to you beauties! Welcome to my first of many cruelty free living posts I've wanted to do for such a long time now, and I've finally planned them and can't wait to hopefully inspire some of you to make a simple change to support the unfair testing and use of animals. The most common thing I hear back from people is "it's going to be expensive" or "that's so much effort", well it's actually not and the only effort you need to put in is to just pick up a different bottle *holds head in hands. It's that simple. Over the last two years I've been gradually replacing items in my home with cruelty free alternatives to get to the point I'm at today. The majority of you guys like me, go to one store for the bulk of your weekly/monthly shop, however I've grown to enjoy searching for cruelty free products and options so am now a bit of a shop hopper. When I think of the places I like to hit up the most, I have to say that Tesco is a firm fav of mine; yes because it's just a 10 minute walk from mine, but also because they have such a wide variety for a vegan, gluten free lass like myself. 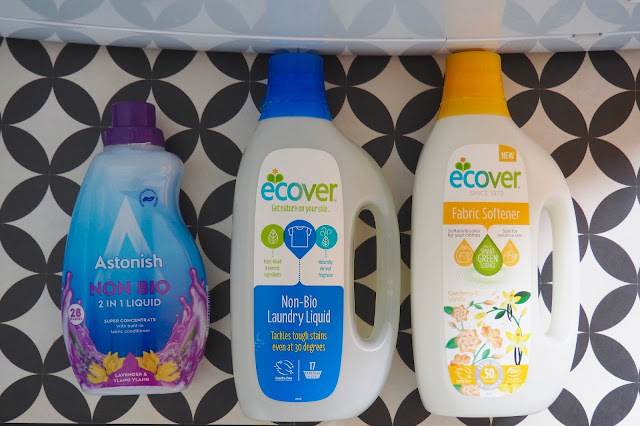 They actually stock some Eco friendly products under their own brand, of which we buy the washing liquid every time, because it's so long lasting, smells great and is only £1. What more can you ask for? Anyway, let's start with the bathroom and a few essentials I nab, and exactly where to nab 'em from. 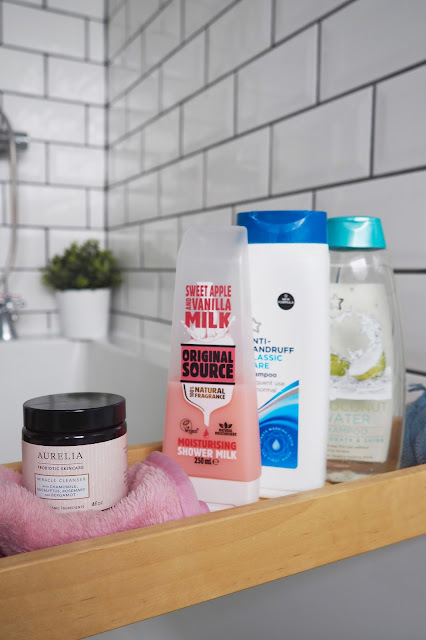 As you may or may not know, Superdrug own products are ALL cruelty free. Yes you heard me correctly. And to top it off, they always have 'buy one get one free' deals across their products (always on dry shampoo and toothpaste, thank me later). I always buy the Coconut Water Shampoo for myself and the Mens Anti-Dandruff for the boyf. He was always a fan of Head And Shoulders, and of course had to make the change, but am happy to report he actually prefers Superdrug's! When it comes to the shower, I'm a bit of a Lush Cosmetics hoarder but it can be a little on the pricey side to just stick to them so I like to spice it up every now and again. Original Source have such a huge variety and can be found in all supermarkets, including Home Bargains and sometimes pound shops too! 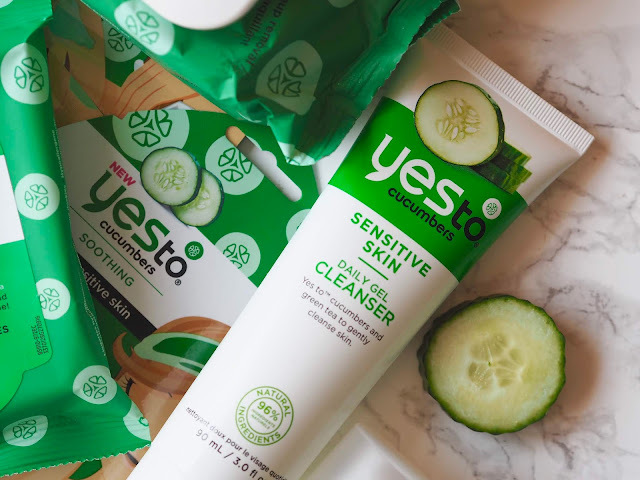 Being a blogger and all I swap around my beauty and skincare routine often, and when I unwrapped this beauty from my mum I was super excited. I'd not heard of Aurelia before, but have since invested and researched into other products they do. Yes to having another cruelty free brand in my life. 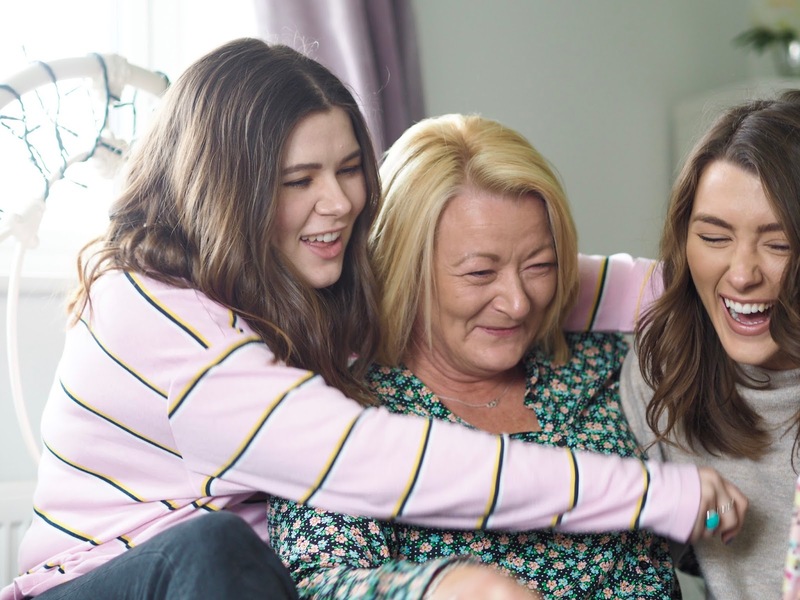 And if you'd not heard of them, they're now in your life too! Before my venture into cruelty free living, I was really quite naive about how animals were used and cruelly tested on and killed. It never occurred to me that toothpaste would fall under the items that animals were used for but low and behold, it sadly was. 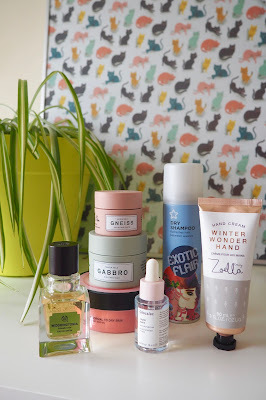 As you can probably expect, I hit up Superdrug hard when I first made the decision to change. 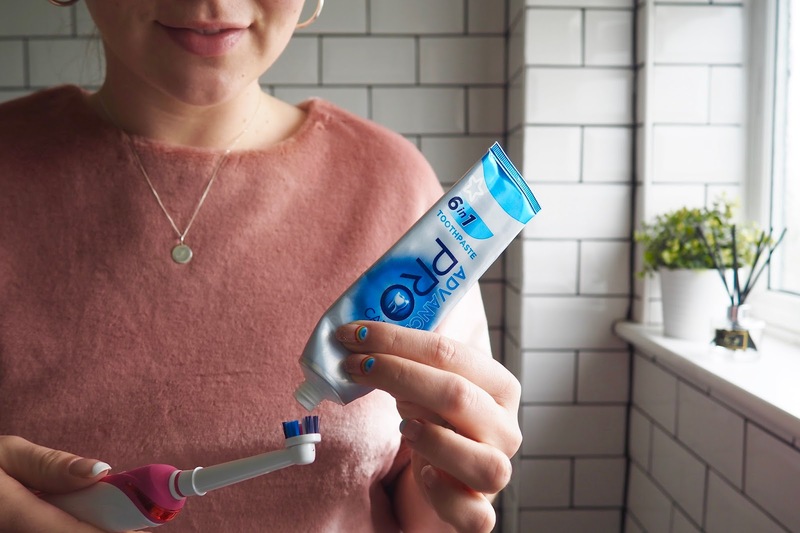 I knew that all their home branded products weren't tested on animals so one of each of their toothpastes came home with me, with this 6 in 1 being my fav. Ecover is a little pricey I will admit, but it's available in all supermarkets and whole food shops so super easy to pick up. They do everything from laundry to toilet cleaner, dishwasher tablets and hand soaps. I definitely get more than 17 washes from my Non-Bio, but when I was in the market for another I wanted to spice it up and grab something new. When walking around Home Bargains I spotted a bottle with the leaping bunny on it. I'm pretty sure I squealed inside. It was an Astonish Non-Bio for less than £2. Guys, I'm honestly not joking, so flippin cheap and smells incredible. After putting that bad boy in my basket I swiftly made my way around on the hunt for more, when I spotted bathroom cleaners and toilet cleaners. Jackpot! If you've got this far, I applaud you and thank you for taking an interest. Reward yourself with a snack on me! 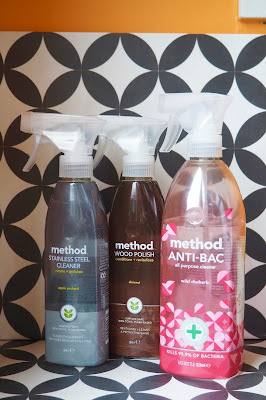 Method is a brand that are pretty well known and have even made it into the blogosphere with some sponsored content. 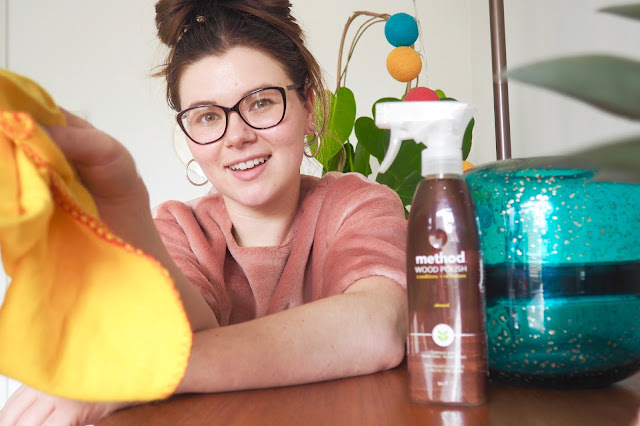 Much like the other home brands they cater for a lot of house needs with their top product being a multi-surface cleaner. The pomegranate one smells good enough to drink (but please don't do that). So, I hope you've got something from this lengthy post. Even if you give one a go after reading this I'll be a happy gal. Going cruelty free in the home is easier than you think, and will be as simple as picking up a bottle from Method, Ecover, Astonish or Tesco own. Just make sure to check out whether or not it has the seal of approval from the leaping bunny. A cruelty free beauty post is in the pipeline (picture as a little teaser). If there's any sort of cruelty free post you'd like to suggest, pop them in the comments and I'll get on it. As the well known quote goes "mum knows best" and since my mum shared her best tip with maintaining brows, I've lived by it to this day! 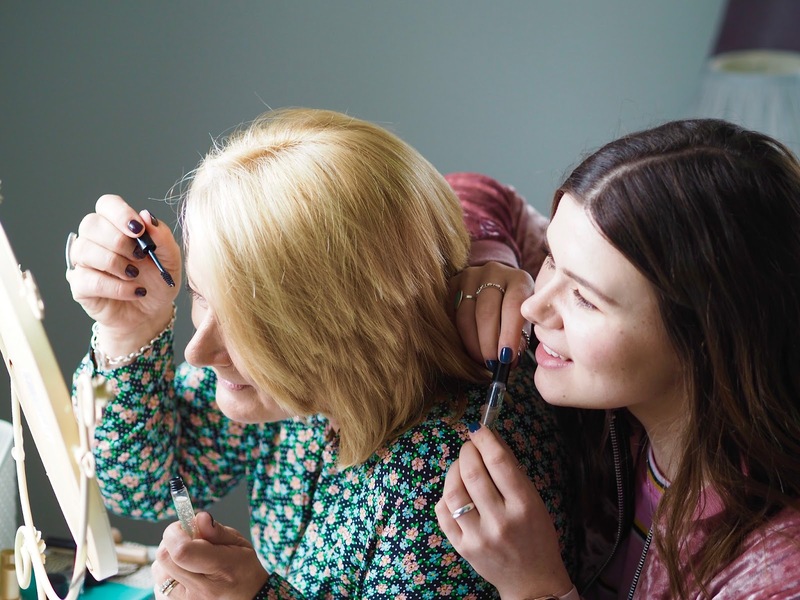 Living and growing up in a household of girls meant that makeup sharing, beauty lessons and overall girly chats about our face happened on the regular. 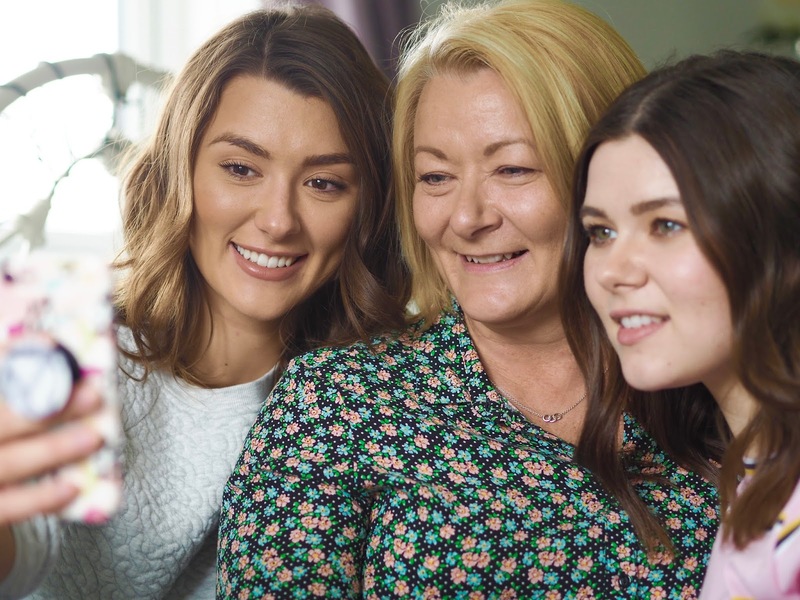 When I first discovered that I could experiment with how I looked, mum would let me mess around with her lipsticks and I knew I loved how wearing makeup and looking after myself made me feel. I still raid my mums makeup stash, and her tips and tricks seem to be never ending and someone I go to for beauty advice on a regular basis. Brows, eyebrows, slugs, monobrow, bushybrows whatever you call em they're so unique to each person and alter your face dramatically. Looking back over photos way back then the trend seemed to be thin barely there eyebrows. I used to over pluck my brows so much during my teenage years, because in school you'd be picked on if they were too big. Thank goodness for Cara Delevingne sharing the love for big brows. The most important piece of advice my mum gave me was to "treat your brows like sisters and not twins". I'm sad to admit that I didn't take any notice of this piece of advice until I was late in my teens, as you're probably very familiar with the I'm a teenager and I know best attitude. My brows are far from being similar to each other and over time I've learnt to embrace that about them, I stick to following the natural shape of them and keep them tidy and don't take much off them at all. There are so many beauty tricks and tips that my mums shared with me over the last 20 odd years, but to treat each brow as an individual has made the most impact in my beauty regime. I'm so thankful that I eventually listened to my mums advice because I've actually learnt to love my brows for what they are instead of over plucking the heck outta them, to the point that you have no actual brows. 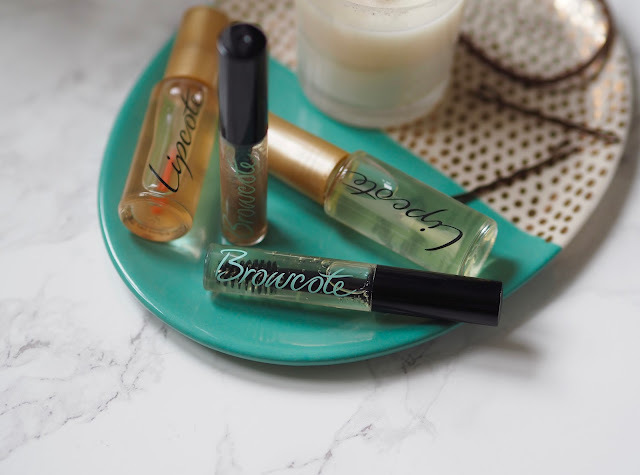 Lipcote have always been a brand my mums used and I've used to lock in that lip colour all day/evening, but as soon as they brought out their Browcote I knew I had to share it with her as I knew she'd appreciate it as an avid embracer of eyebrows. We now all use Lipcote and Browcote, myself, mum and sister to lock our looks in place as we love a strong brow look. Basically I wanted to share with you guys the little golden nugget that you may already know but just incase you don't, please love your features and work with them and not against them. Remember, your eyebrows, slugs, whatever you name em are sisters and not twins. If you've got one thats more curved and the other square, try different products out and see what works for you and no over plucking allowed. 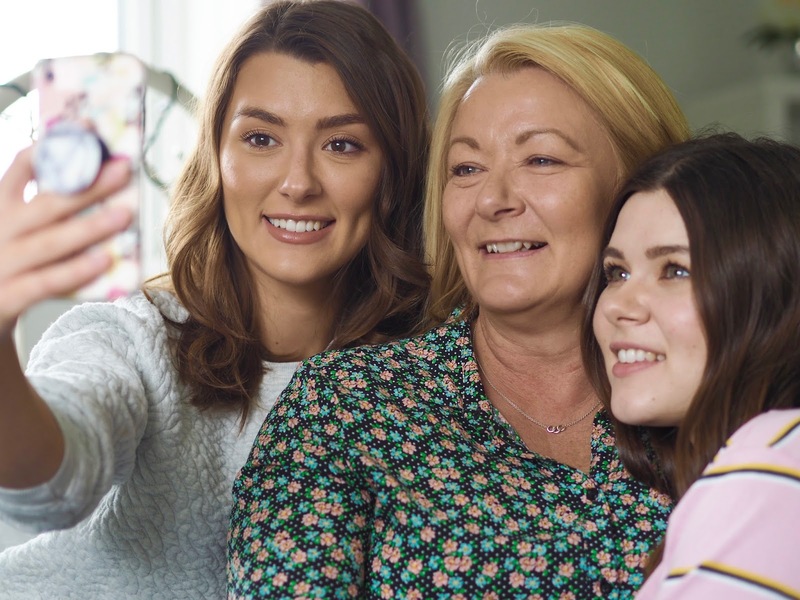 Share a picture on your Instagram using the hashtag #mamatoldme and tell us what little piece of advice, tips or tricks you've been passed by your mum. There's prizes to be won so make sure to get involved! Straight leg/boyfriend fit jeans were something I thought I'd never wear, as I thought they made me look bigger and weren't flattering. Wow, hasn't my opinion changed or what?! Loose fitting jeans, a mens shirt, and my khaki jacket mean for an awesomely comfortable and very weekend vibe outfit that I'm so in love with. 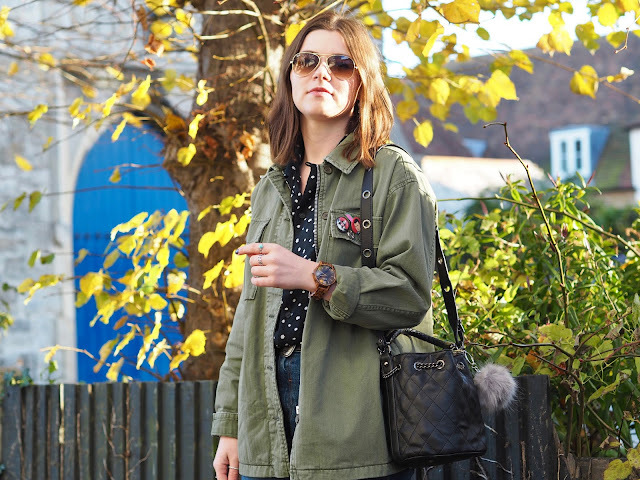 To coincide with the earthy tones of my outfit I reached for a particular watch. 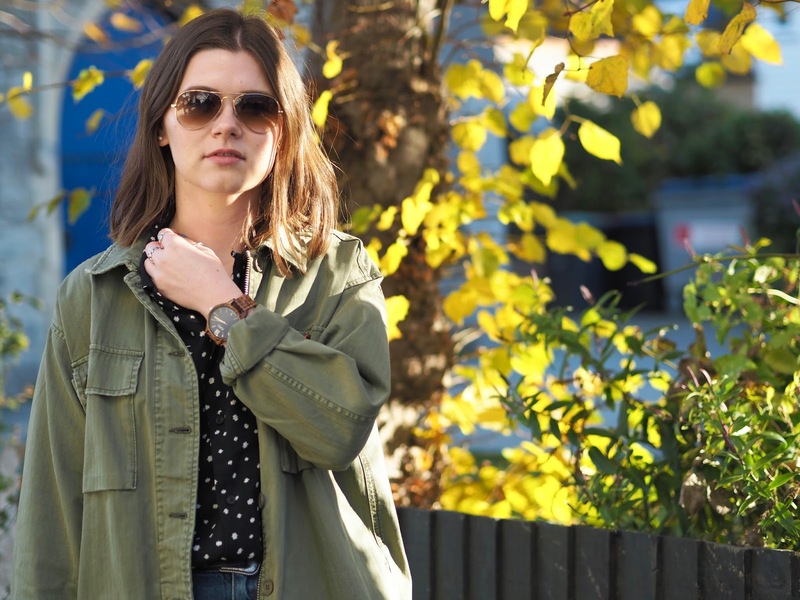 Now, I know some of you lovely lot probably don't wear a watch, or decide not to wear one at weekends but if I'm honest, not wearing a watch sends me into a bit of a melt down. 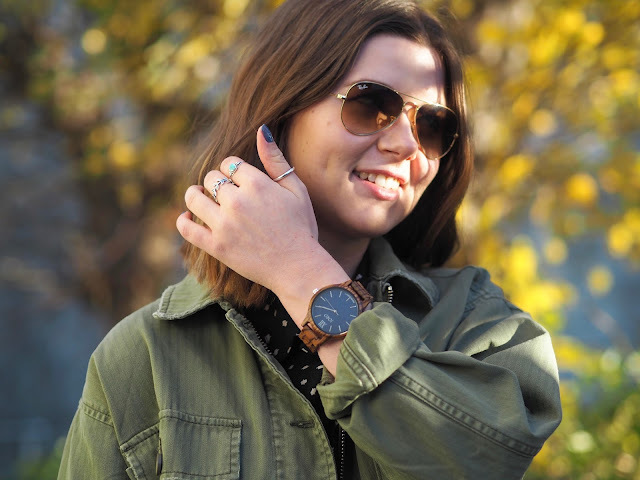 A big part of my full time job is time efficiency, meaning that you'll actually never find me without my watch on! 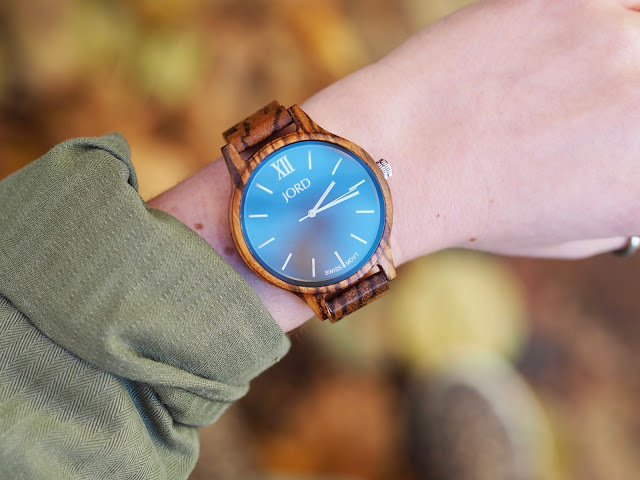 Enter the infamous JORD Wood Watch. 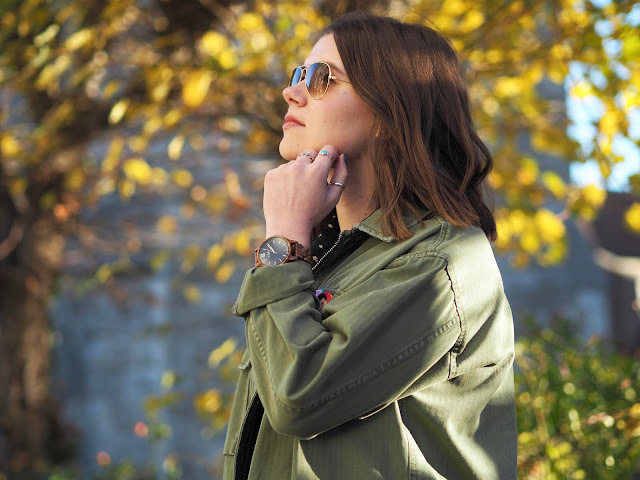 Matching perfectly to my outfit but giving it a little edge, this watch is so unusual and really does stand out and has become my go to weekend watch (Along with the weekend boyfriend jeans because I like to eat all the food at weekends). Of course the fact that the watch is made of wood is the obvious thing that draws you in, but the colour of the face almost has me hypnotised. I managed to catch what I mean in the above picture in terms of how the face catches the light. It's so pretty and although is a blue face, in some lights looks a little purple/blue. The watch comes with it's own cloth and oil so you can really look after it, which Tony took control over as "I'm a carpenter and I know wood" haha. 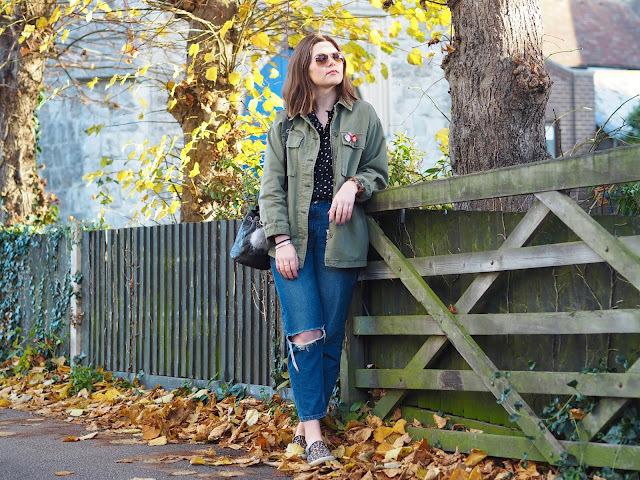 This outfit is comfortable, seasonal in terms of colour palette, and oh very SUNDAY. It feels great that I finally understand and feel ok to wear baggy jeans, I mean whats not to love about feeling comfortable? Yes to not wearing skinny jeans every day. Fancy embracing the baggy jeans and watch scenario? 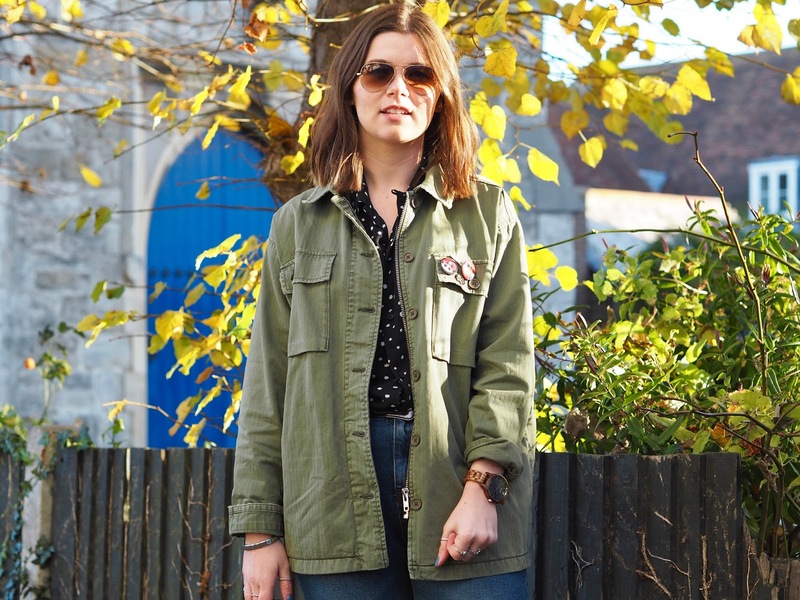 Shop my outfit clicking on the links below!